Within the past year, studies have shown more than half of the children in the world are struggling with math. There are, of course, exceptions, but it seems many children have trouble grasping basic math and applying it to real-world experiences. As an adult, it’s troubling to see your child struggle in any educational area. Subjects like math and reading are particularly integral to our everyday life, though. Today, we’ve got some important tips for you to help your child with math. Read on to find out what they are! Sometimes, children just have trouble understanding a concept. It may be as simple as they need a bit more attention. Other times, though, the struggle may come down to a learning disability. While it’s incredibly important for you, as the parent, to participate in your child’s learning, you may need to consider professionals as well. Start off by speaking with your child’s teacher. Then, consult your general practitioner. As understanding of math-specific issues, such as dyscalculia, become more prevalent, you may find the help you need. It may not be a medical issue, though. Your child may need more one-on-one attention at home. 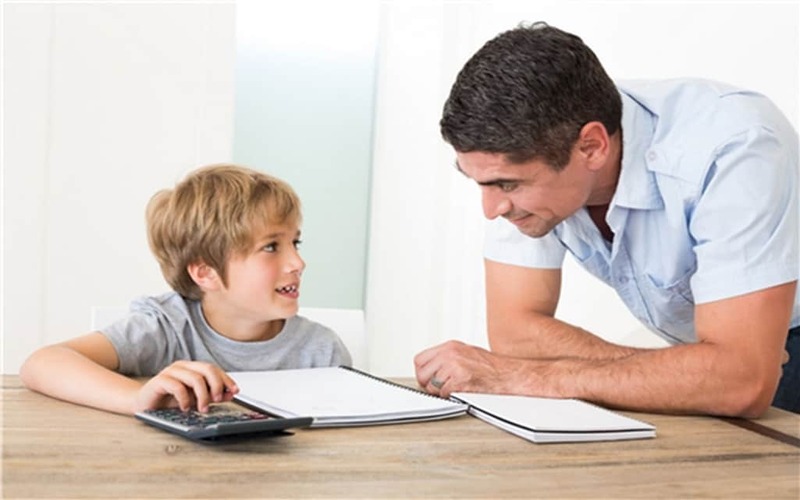 A good way to help your child with hard math problems is to do them together. This doesn’t mean that you do your child’s homework yourself, but you can go over problems out loud with them. Just as with reading comprehension, sometimes, solving a math problem out loud goes a long way. Plus, the added benefit of bonding with your child will help them feel more engaged in their learning. Your child struggling with math may be having trouble understanding how the facts on paper apply to everyday life. Just as they get a logic problem on a math worksheet, you may want to use math with them when out and about. Are you out shopping for a toy they’ve been saving up an allowance for? Before going to the cash register, calculate what her change will be for the money she’s spending. Walk her through the calculation and the result. As a parent, you can certainly help your child with math problems every single day. But you may not always have the time available to be doing it consistently. Math tutors give the extra attention a struggling student needs. Digital math tutor programs, such as Thinkster Math, can help students get caught up with their grade and even excel beyond. As is the case with any healthy upbringing, children need encouragement to keep pushing. On that same note, be sure to not give them excuses. Saying, “Struggling with math is common” may seem like encouragement, but it gives them an excuse to stop trying. When your child is struggling with math, you may feel a little helpless, lost, and discouraged. Naturally, you want to see your child grow healthy and strong, both physically and mentally. Having difficulty with math isn’t necessarily permanent. There are ways you can help and encourage your child to catch up with their class. Hopefully, these tips gave you some ideas on what to do next. Feel free to check out some more of our parenting blogs for helpful tips!